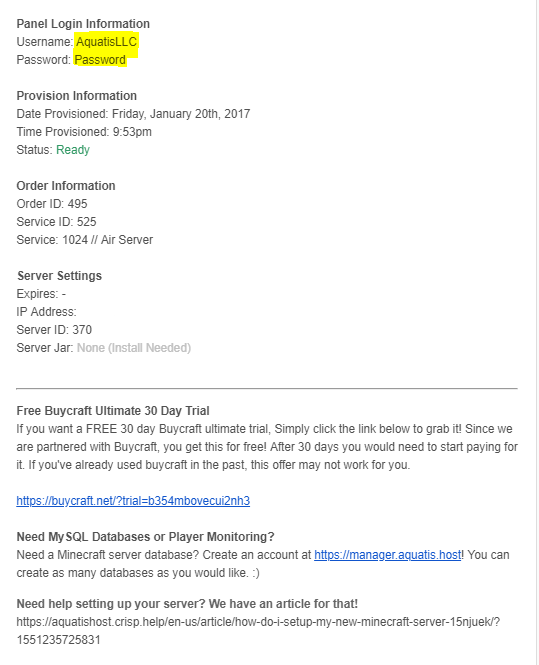 Congratulations on purchasing a server from Aquatis! We&apos;re glad & ecstatic that you decided to choose us over other competitors. We&apos;ll be sure to make this a great experience for you! We&apos;ve decided to build this little article for people if its there first time starting a Minecraft server. How do I locate my Login Details? If you&apos;re unable to find the email. Is labeled "AH | New Minecraft Server Assigned" and is sent from alerts@aquatis.host. If you&apos;re still unable to find the email, feel free to message our support on our live chat for further assistance. If you received an email with this link noted on it your panel login details will be listed there. It should be linked above as shown in the image. How do I log in to my panel? Copy the details from the email you received and visit https://panel.aquatis.host/index.php?r=site/login. Be sure to bookmark this page for easier further access. Copy and paste your information onto the boxes on the screen then log in. If your password fails to work, please double check that the information has been copied correctly, sometimes copying the password leaves an additional space at the end of it. If you typed out the password exactly and it is still saying failed login, feel free to message our support on our live chat for further assistance. Whats all this information I see? This is the Multicraft panel. You use this to control your own Minecraft server. Some things listed will be down below. Daemon: This lets you know what Minecraft daemon you are on. In case of outages which are rare occasions, allow you to message us with the machine you&apos;re on. Name: This is your server name, you are able to edit this to anything you please. This helps identify this server in the future for you when you have a server list. You can only have a server list if you own more then one server. 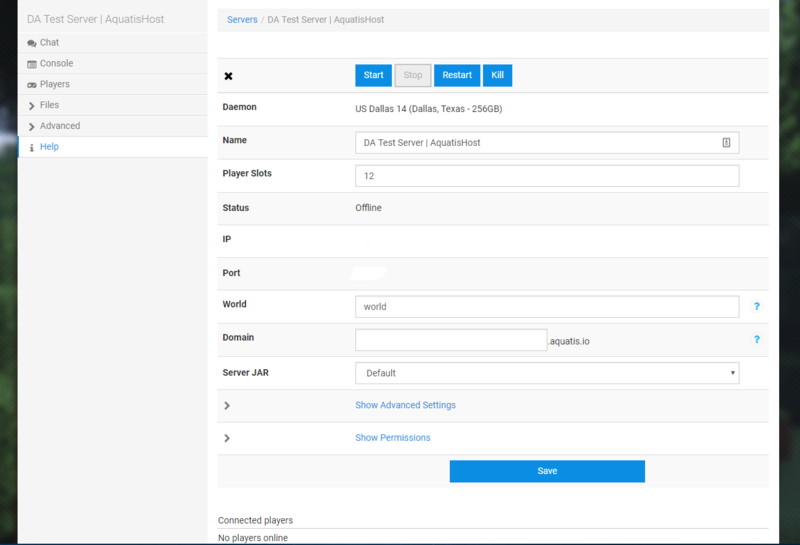 Player Slots: This is the max online players that can be online/connected to your server. You are able to change this to whatever you want as aquatis does not cap player slots. Status: This is your Minecraft server status, which should be Offline. IP: This is your servers IP address you will give out for players & for you to connect to. Port: This is your server&apos;s port you will give out for players & for you to connect to. World: This is the default world name that Multicraft would generate for you. Domain: This is your server&apos;s domain. Instead of connecting with a bunch of numbers to your server which people do tend to forget. You can make your own domain free of charge here. Instructions below on how to do so! Server Jar: This is the version that your server is running on. Right now it should show default, however, it&apos;s recommended for you to change this. More instructions are below. I can&apos;t join my server right now? Even though you logged into the panel and you copied the information over to your game, you find your self unable to connect. Sadly, your server is not online/active yet. There are some additional steps that are recommended for you to do such as listed below. The reason for the server, not auto-starting is for new users to customize the server to their preference before-hand. Give your server a cool name. In the future, if you order new servers, this will help differentiate between them. Setup a server jar. Your server won&apos;t be able to start up without launching a jar. A jar is an executable which Java uses to run your server, hence the name Minecraft "Java" Edition. On the dropdown list, there are a bunch of ones to pick from. If you&apos;re not sure what you want to pick, it&apos;s highly recommended to run Spigot | 1.13.2. Spigot is the jar type and 1.13.2 is the game version where players in there clients can join from. Once you set up all these details. Hit save then start your server. You would have to wait for the X on the top left of the screen to turn into a checkmark. 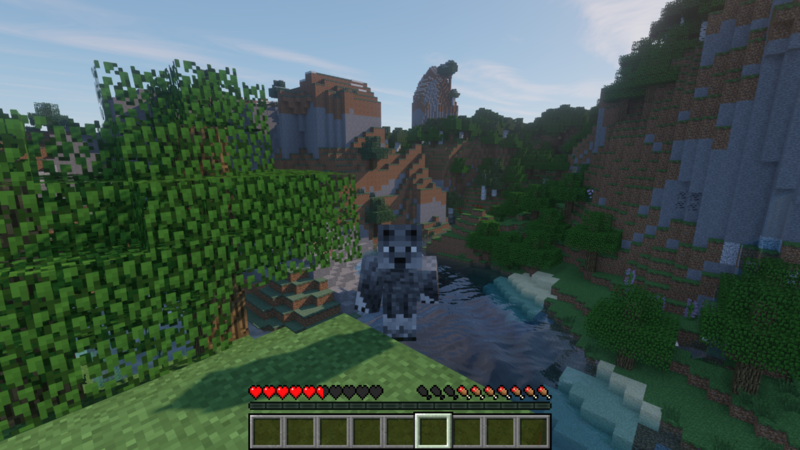 How do I connect to my Minecraft server? Start the Minecraft launcher in the server version that you selected on the list. Once you have booted the game, select Multiplayer then Add Server. Copy and paste your server ip add this ":", then the port, it should look similar like this 1.2.3.4:25565 but not the same thing. If you set up the domain feature on our panel. 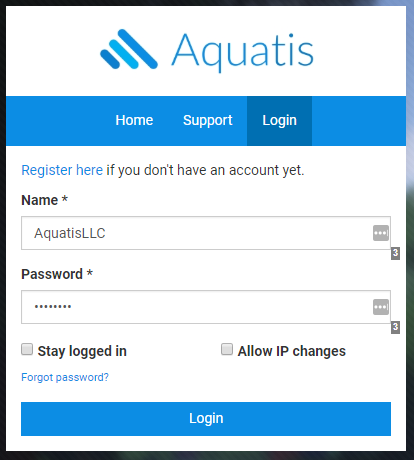 You could use yourservername.aquatis.io. If your server domain (your server domain).aquatis.io is not working yet. The DNS system may have not created it and it may take up to 24 hours for it to generate. If this occurs use the IP address and port provided to you. Once you selected done. 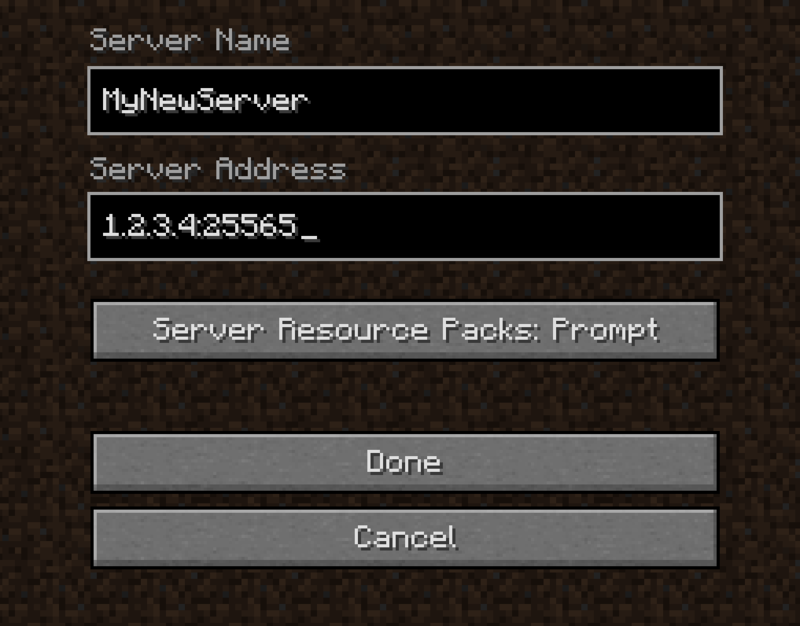 Your server will appear on the server list as shown below. All you would have to do is click it then select the join button. If the server is not online, please check on the panel that the server has been started. If you&apos;re unable to connect, please ensure the ip is correct. If you&apos;re still unable to connect, please contact our support team on our live chat system! You did it! Congrats & best of luck to you! Now you connected, your new journey starts! Are you going to slay the ender dragon? How about making a city? You have a month to decide what your faith becomes! But below is a personal message from us. From the bottom of our hearts, we hope your server turns into a great success like our company. Customers like you always have a unique idea which we support nomatter what. Don&apos;t let other people talk down your own idea, If you think its unique go for it! Even though you have paid us for this service, we are constantly growing & investing the money back into aquatis just to make it the best host possible. We are never taking the profit out of aquatis for personal needs. Thanks for picking us and best endeavors and wishes! You&apos;re invited to our discord as well, I&apos;d be personally honored to welcome you.